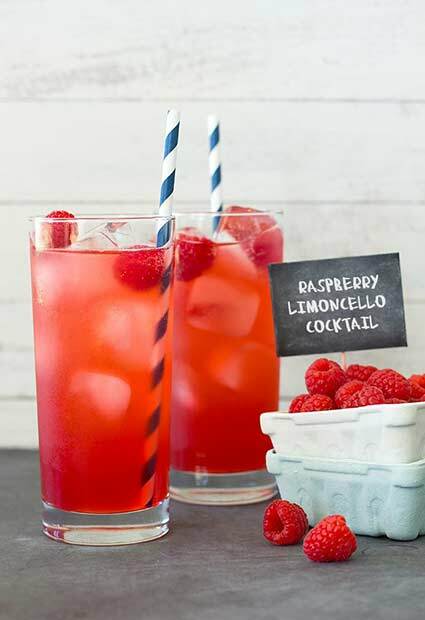 Summer time is all about having fun in the sun and a party isn’t a party without a few cocktails! If you are planning on throwing a house party or have been invited to a house party, these drinks will be perfect for you. They are fun and simple to make. We have come up with 15 of the best alcoholic drinks for you to try. A gorgeous summer drink with a splash of rum and pineapple juice. Grab a glass and some ice. 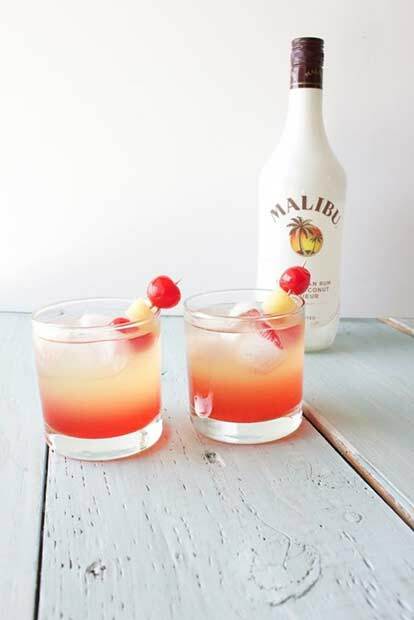 Pour the Malibu rum over the ice and then add the pineapple juice. To top it off, add a splash of grenadine and serve. This is summer in a jar. Made up of Sprite, Viniq Ruby, Sweet N Sour and Smirnoff Raspberry flavour. Add a slice of lemon or lime to serve. 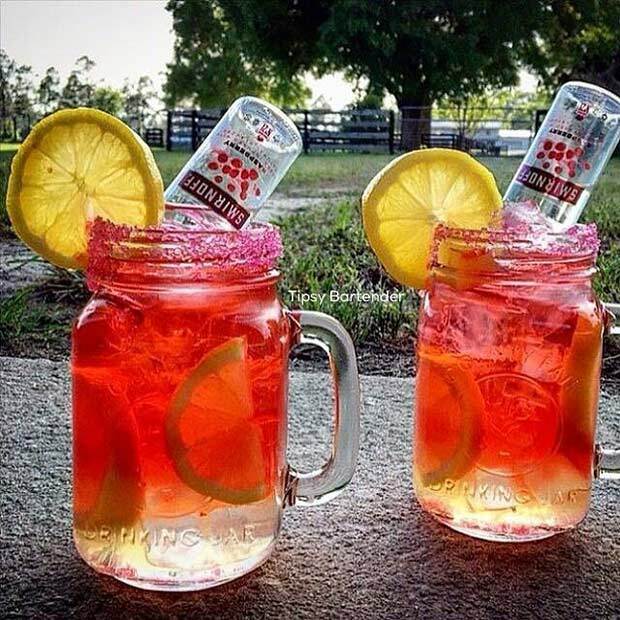 When making this drink, ensure you have a few mason jars. They will add to the effect. 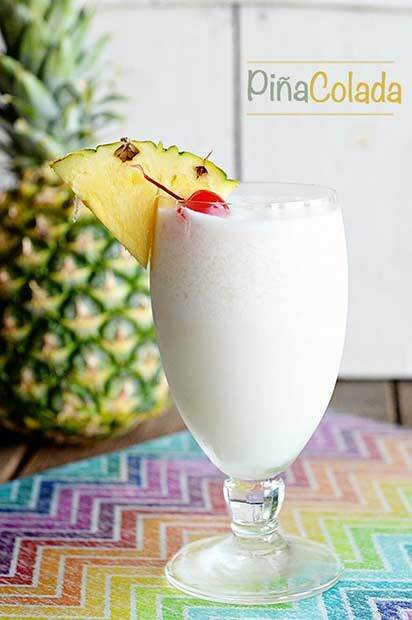 A pina colada is a sweet cocktail and it looks amazing! Made up of ice, white rum, fresh pineapple juice, coconut cream and chunks of fresh pineapple. You can make it look so good with a pineapple wedge on the side of the glass. Just the name, Hippie Juice makes you want to make the drink! This is a cocktail that is also made up with coconut rum. 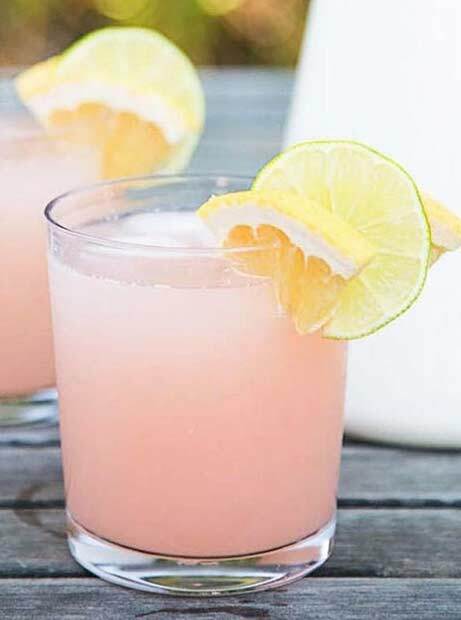 Mix Smirnoff watermelon vodka, Malibu coconut rum, triple sec and to finish, pink lemonade. Add a few fresh fruits of your choice. 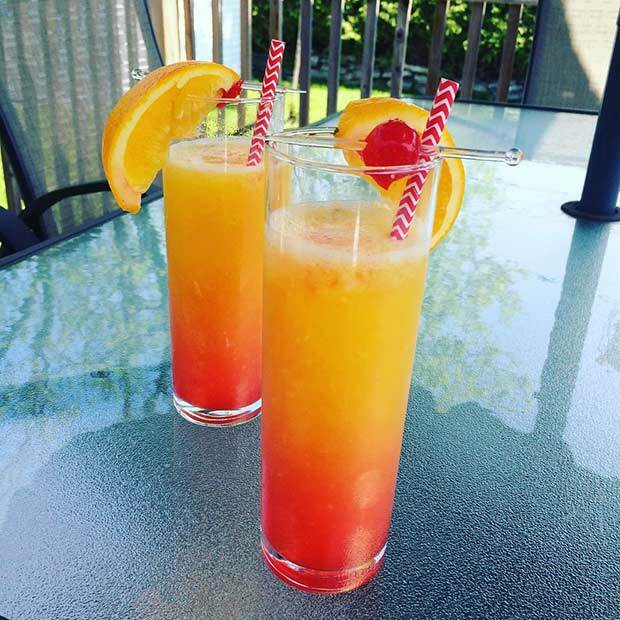 The perfect summer looking drink to watch the sunset go down. You can’t beat this drink for summer presentation! 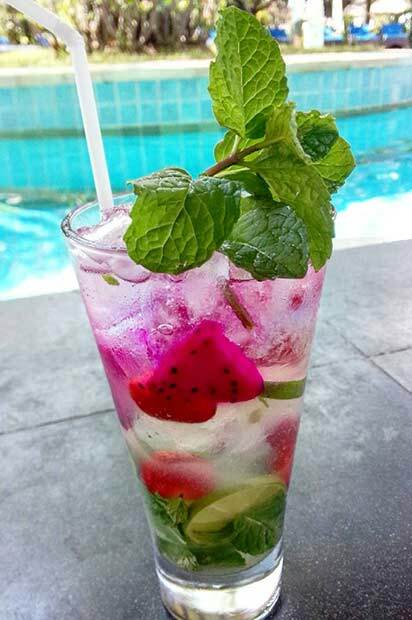 Serving this drink in the half watermelon, looks fab! Do you fancy a smurf drink? 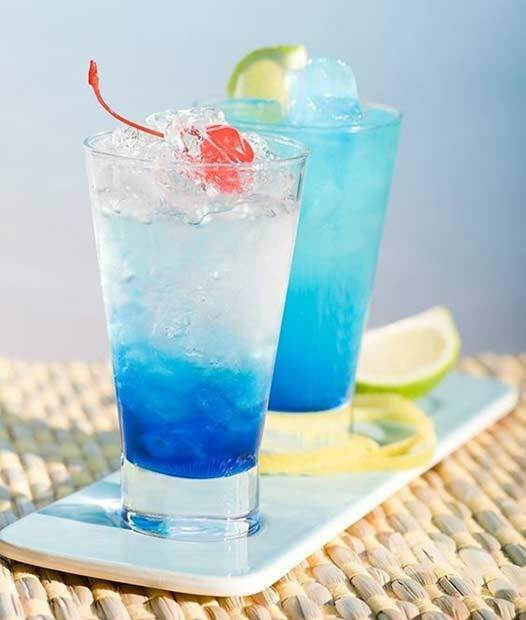 Try this vodka, ice, lemonade, blue curacao (for the colour) and to finish a cherry on top. 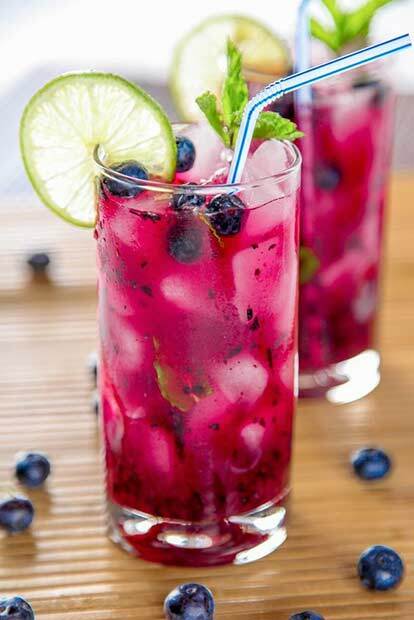 Have a selection of fruity drinks to add colour and to spice things up a little. 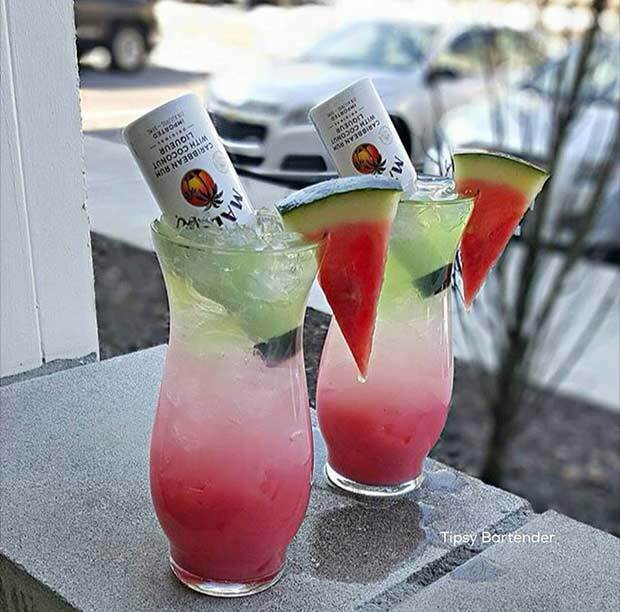 The drink even looks like a watermelon! 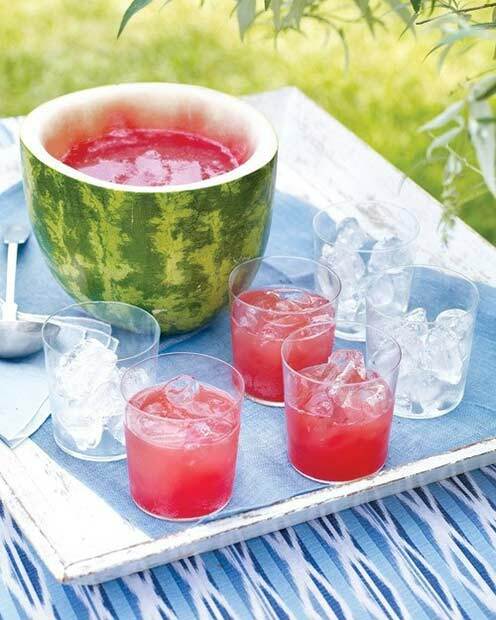 Always serve with a slice of watermelon on the side. 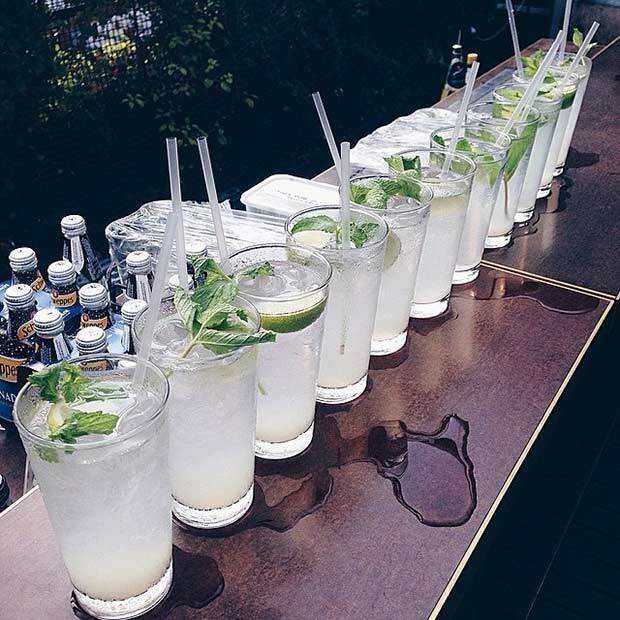 You can’t have a party without having Mojitos on the menu! 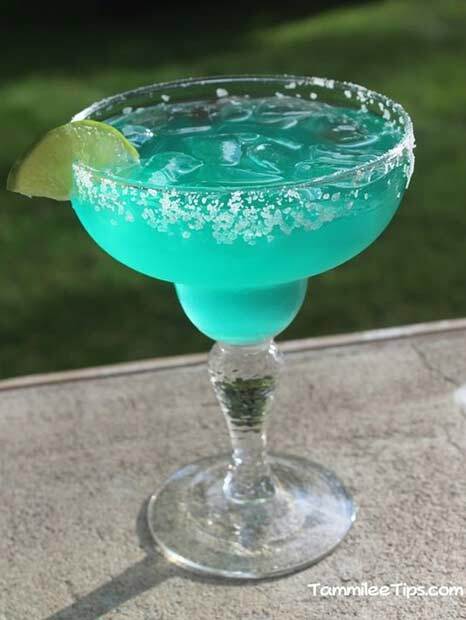 Blue Margarita’s are great to look at and taste good. 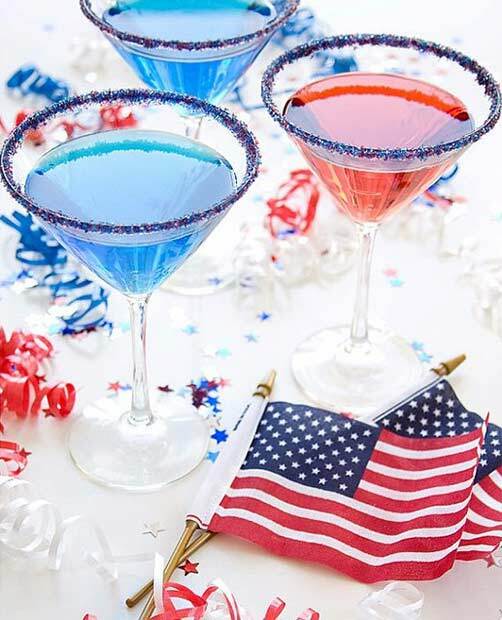 Are you having a themed party, maybe Independence Day? 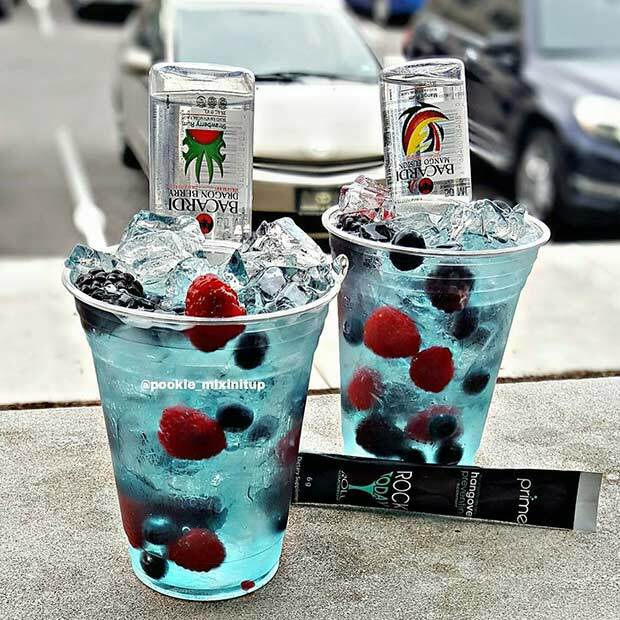 Take at look at these drinks to get you in the mood. Everyone needs to try this. It is fresh, fun and looks scrumptious! Will this count for your fruit intake for the day? We think so! The best thing about cocktails is the presentation! Impress your friends by serving this drink like the photo! 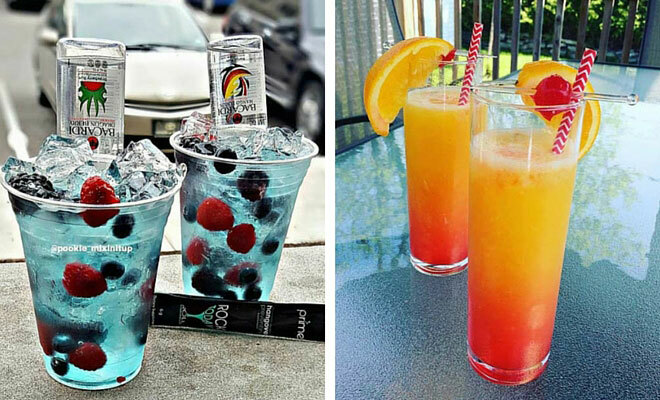 I’m sure you will be having many more house parties after serving these drinks, everyone will love them!